The Aervoe High-Delivery Off-Line Contact Aerosol Cleaner (12-Pack) is a highly refined cleaner formulated for use on printed circuit boards and printed wiring boards of high-tech electronic hardware. It offers excellent wetting action for cleaning the finest and most delicate instruments. With its high delivery and fast penetrating properties, it easily removes oil, wax, grease, dirt, and moisture. 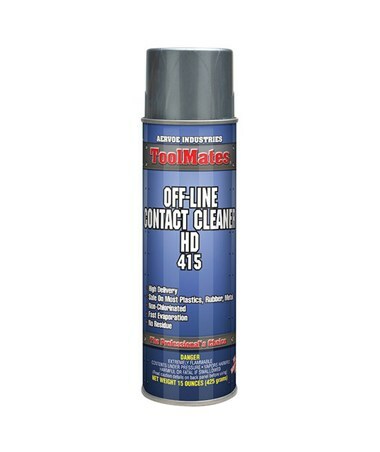 This contact cleaner by Aervoe quickly evaporates and leaves no residue or film. Its non-chlorinated formulation is safe on metal, rubber, glass, and plastic surfaces. Ideal for industrial applications in manufacturing facilities, it can be used on electrical solenoids, computer components, relays and controls, connectors, and semiconductor assemblies. Flammable, it is not recommended for use on energized equipment. The Aervoe High-Delivery Off-Line Contact Aerosol Cleaner (12-Pack) comes in 20-ounce spray can that allows easy and precise application. Equipped with an extension tube, it can conveniently access hard-to-reach cracks and crevices. 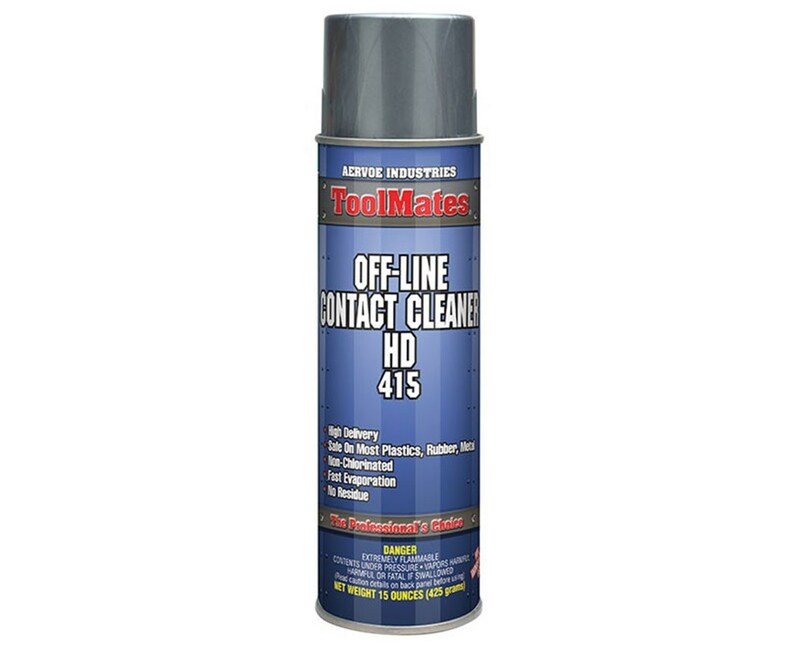 Each package includes 12 cans of clear, non-foaming liquid and a one-year manufacturer’s warranty. Miscellaneous Do not use on electronic equipment or machinery while in operation.